anniversary. The bicentennial provides an occasion to reflect on the impact Darwin's work has for us 200 years after his birth, and it presents an opportunity, especially coming so near the start of a new year, to frame resolutions for the future. 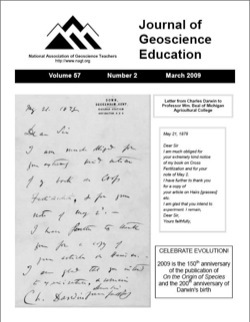 In this commentary I will offer a vision for how geoscientists and geoscience educators can share this opportunity. The Course, Curriculum, and Laboratory Improvement (CCLI) program recently released the program guidelines (NSF 09-529) for the next round of the program. There are several changes to the CCLI program and a new program opportunity that invites proposals for projects that would provide leadership and contribute to transforming undergraduate STEM education. This article provides some basic background about the program, points out changes in the new solicitation, and encourages geoscience faculty to submit proposals to this program. Electronic course materials, such a videos, PowerPoint presentations, and animations, have become essential educational tools in classroom-based geoscience courses to enhance students' introduction to basic geological concepts. However, during field trips, the ability to offer students these electronic conceptual supports is lacking where students and faculty are often without access to the electrical grid. The video iPod offers an inexpensive and reliable means by which to provide students access to a wide range of electronic course materials during field trips. GeoJourney, a nine-week field-based interdisciplinary introductory geoscience program at Bowling Green State University, is the first geology field program to use the entire range of the video iPod's capabilities to support electronic course materials while in the field. A video iPod was issued to each student at the beginning of the program, along with a battery back-up and a DC charging cable which was plugged into a custom wiring harness installed in the transport vehicles. Students were able to use the iPods during travel time, in the field on hikes and projects, and in their tents at night. Types of materials included videos, still images, animations, text, audio files, and enhanced podcasts. Students' response to the use of the iPods is overwhelmingly positive and suggest their use on GeoJourney also reduces 'novelty space'. methods could make a critical difference in reversing student apathy toward science in colleges and universities. from their pretest to posttest understanding of renewable and nonrenewable resources. In addition, students were interested and excited to act on what they had learned. 07 established by researchers at the University of Calgary. Precipitation gauges and temperature and relative humidity probes were installed at each school and students were asked to collect a water sample each day that precipitation accumulated. These samples were used to trace the evolution of stable water isotopes across southwestern Canada. Researchers visited schools to talk about water resources and climate change, and data were collated and given to teachers to use in an atmospheric science project. The participatory nature of this project gave students exposure to data collection and basic analytical techniques used in atmospheric sciences. This was a first attempt at collaboration between our research group and secondary schools, and we point out a number of issues that arose in our study with respect to a successful two-way engagement between researchers and students. These include school engagement, the geographic distribution of the participating schools, the time span of the project, and the time available to schools. There are also a number of data quality considerations, but we were successful overall in acquiring a unique, high-quality dataset that satisfies our research objectives. Very few Native American students pursue careers in the geosciences. To address this national problem, several units at the University of Oklahoma are implementing a geoscience "pipeline" program that is designed to increase the number of Native American students entering geoscience disciplines. One of the program's strategies includes the development of an undergraduate course called 'Earth Systems of the Southern Great Plains.' The course focuses on geoscience topics that relate to the southern plains (particularly Oklahoma), emphasizes "sense of place," integrates indigenous knowledge and geoscience content, makes use of Kiowa stories and metaphors, and uses Native American Art as a vehicle of learning. Students in the course are required to put living indigenous philosophies into practice through teaching activities and the construction of geoscience models using everyday materials. The course is designed to highlight the integrated nature of Earth processes, elicit students' experiences through exploration of case studies illustrating links between indigenous knowledge and Earth processes, and demonstrate the process of practicing science. Formative student evaluations are providing useful information and the course is evolving. Preliminary assessment results suggest that integrating Native American culture, art, and geoscience content is a successful approach. by instructors, the potential exists to lead students to form better and more accurate mental models of weather. and physics. The course is part of a four-course set that explores science concepts, processes, and skills, along with the nature of scientific practice, that are included in state and national standards for elementary school science. 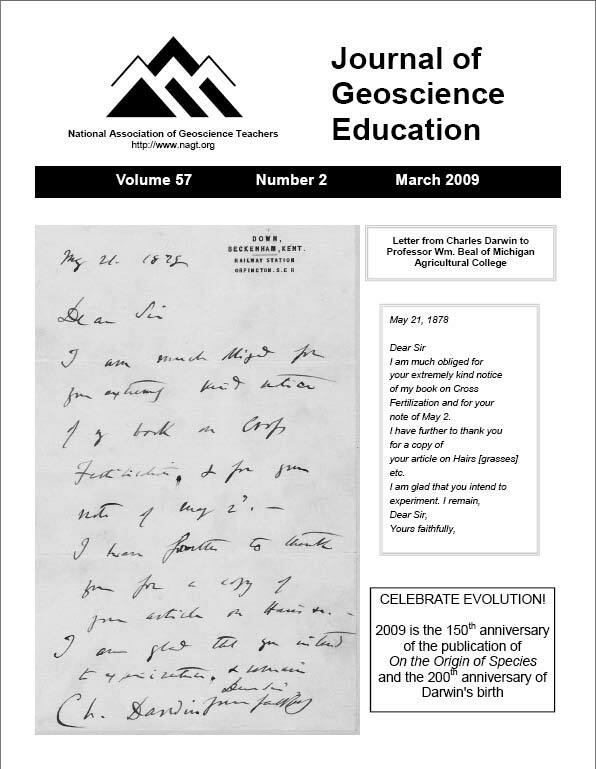 Geoscience concepts, such as water and seismic waves, are used to illustrate general principles of physics, such as wave transmission, refraction, reflection, and interference. Laboratories are drawn from both introductory physics and earth science courses and have been redesigned to have a strong inquiry component. Pre-assessments were used to evaluate students' prior knowledge of key ideas. The use of pyramid tests measurably enhanced student performance. A major theme of the course is how science is represented (and misrepresented) in the media. Pedagogical challenges encountered in the course are due to various factors, two main ones being lack of previous experience with the natural world among a largely urban student body and the diversity of material that the course covers. From 2005-2007, 86 pre-service science teachers surveyed 2,535 middle and high school students in 27 rural, suburban and urban school districts in Northern Illinois on their attitudes about science. The survey consisted of ten questions on a ten-point Likert scale covering interest in science, attitudes about scientists and student confidence in, and desire to do science. These students no longer hold most stereotypes cited in the literature. For example, all students feel that girls are capable of science, that science is interesting and that their parents would be proud of them if they were to become scientists. However, very few students felt they might want to become scientists. Previous attempts to increase the numbers of students participating in science by targeting these stereotypes have been effective in changing student attitudes about science but have failed to increase the desire among students to become scientists. These students feel they can do science; they simply do not want to do science. This paradox is a different kind of problem than has been previously identified in the geoscience community and will require a retooling of approaches and programs wishing to increase student participation.